WestCare Nevada has teamed up with community partners Crazy Pita and Nevada Title Company for a ‘Christmas in July Drive,’ which will benefit the women and children at the nonprofit’s Women and Children’s Campus. The drive will end on July 31. So hurry and get your donations in! Other items needed include: Changing tables, bouncy chairs, play packs, art easels for toddlers, little creative work stations, and Baby Einstein toys with educational learning tools and games. Women and children housed at the WestCare campus will benefit from the drive, which is taking place prior to a renovation planned for the facility’s nursery on Aug. 22. 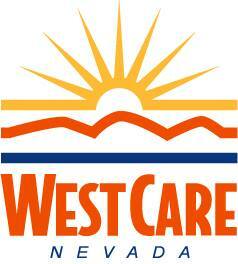 WestCare Foundation was founded more than 41 years ago in Las Vegas with the goal of “uplifting the human spirit.” The non-profit provides a variety of programs across the continuum of health and human services. Every doorway into a WestCare program is designed, not only to lead to solutions for the presenting issue, but also to be a first step toward identifying other potential complicating and co-occurring factors impacting the life of individuals as a whole. WestCare’s trauma-informed, person-centered continuum of care spans 17 states and two U.S. territories and is recognized for clinical excellence, coordinated access and collaborative innovation.